In order to engage the sustainable agenda with the public one approach to consider are opportunities which take of advantage of existing infrastructure. Whilst a considerable pressure today in on bicycles in our urban environments some cities are unable to integrate the bike culture due to certain obstacles such as terrain and economy. 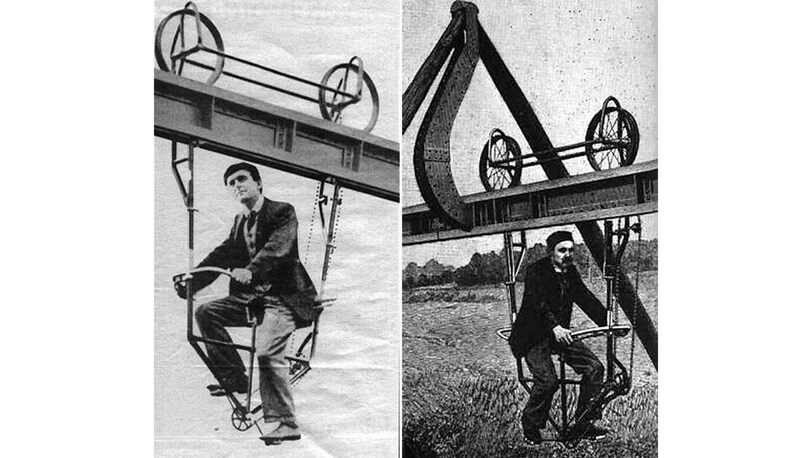 The pedal coaster is an avantgarde Victorian solution finally realised due to long standing advances in lighter materials. 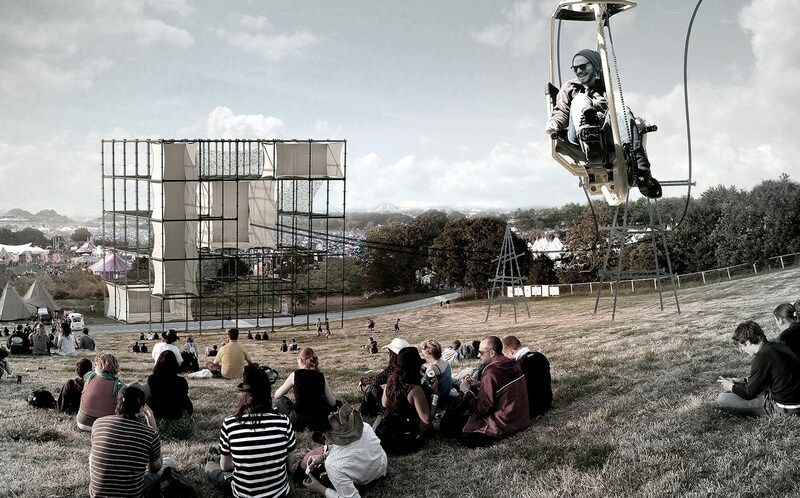 By combining the system with standardized scaffolding parts typically used in festival architecture, the pedal coaster challenges conventional forms of transportation in it’s experimental, health efficiency and sustainable qualities. The coaster liberates the user from the ground floor plane avoiding pedestrian traffic and providing series of broader festival views. The track structures emit a spectrum of colours at night, orientating the entire festival through a series of meeting points. 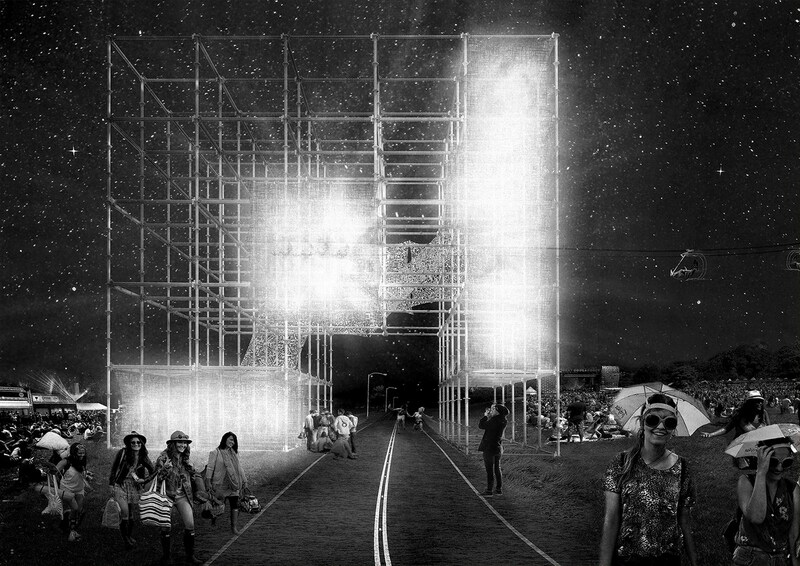 When festival finishes the entire installation is dissembled and pragmatically re appropriated to other sites. 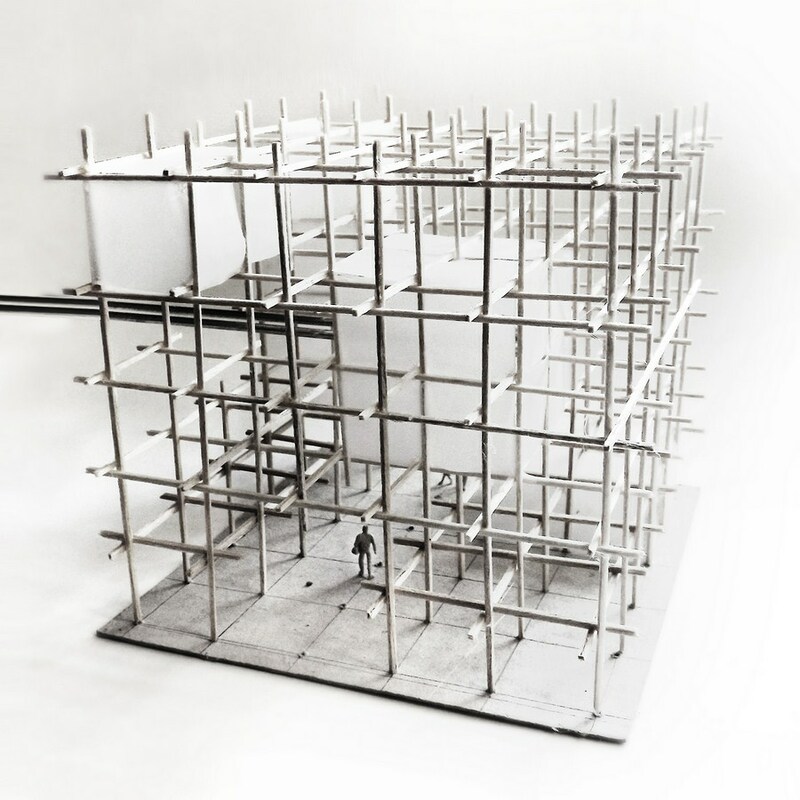 The standardized scaffolding structure supports conceptual pragmatic re-assembly in different contexts with unique requirements. The system becomes a universalized solution to the evolving urban realm. 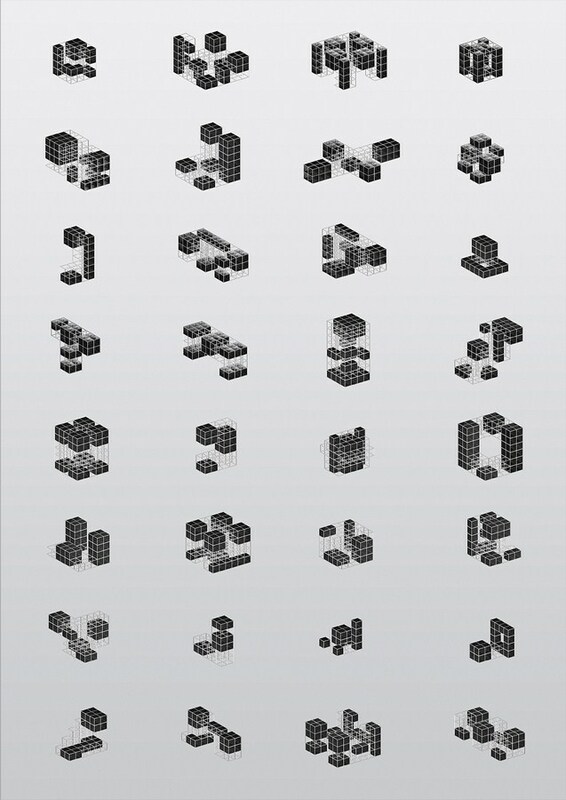 A generic cube made from scaffolding is pragmatically programmed to the specific site constraints and orientation through simple subtractions and tensile fabric units. Circulation is supported through enclosed rope netting. The scaffolding is re-used in simplistic triangulated structures which help support the pedal powered carriages and tracks. The minimalistic design is inspired from generic electricity support structures. Supplementing the track are two stations. One, acting is primary focal point, situated in direct view of the festivals entrance. The other, simply a drop of point. The stations reflect the coaster support structures in material construction. As an architectural object the large structure straddles the road, creating a porous junction, with shelter from the rain and swing seating for social interaction. Four tensile fabric volumes are suspended in the cube; and induction space, a station, a viewing deck and a tower. Each volume connects to the other through climbing netting forcing users to climb and interact with the structure. 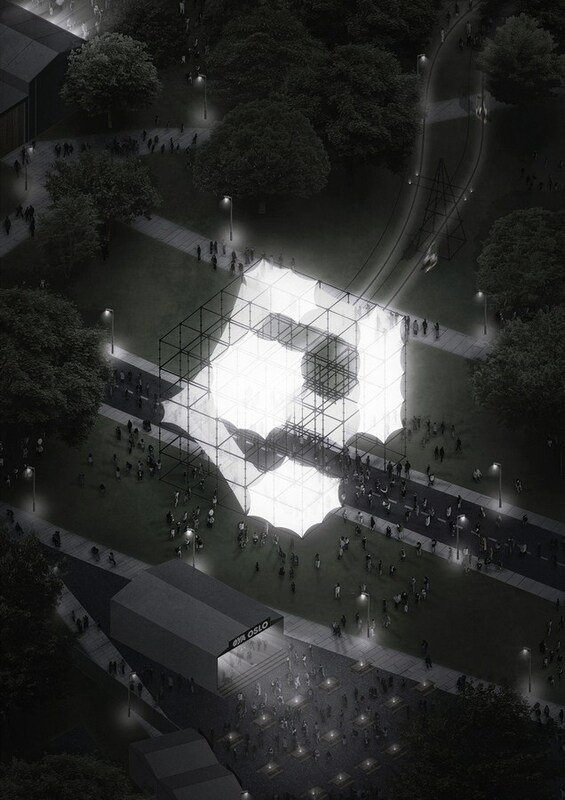 The floating forms become beacons at night illuminating a large public space. The diffusion of light corrupts the membrane form disguising the literal and holding the subject in a state of indeterminacy. The phantom like, fabric units contradict their harsh scaffolding cage in which they are held within. The units serve as beacons for people to gather and connect. In unsuspecting moments, the human propelled carriages are cut through the night demonstrating unforeseen connection to other realms. Artur Zakrzewski and Geoff Eberle met at Portsmouth University in England for their Bachelor of Architecture degree and collaborated together on various projects ever since. They have cofounded an experimental thought society Double Full Screen to discuss real and hypothetical problems and to pursue architectural competitions. 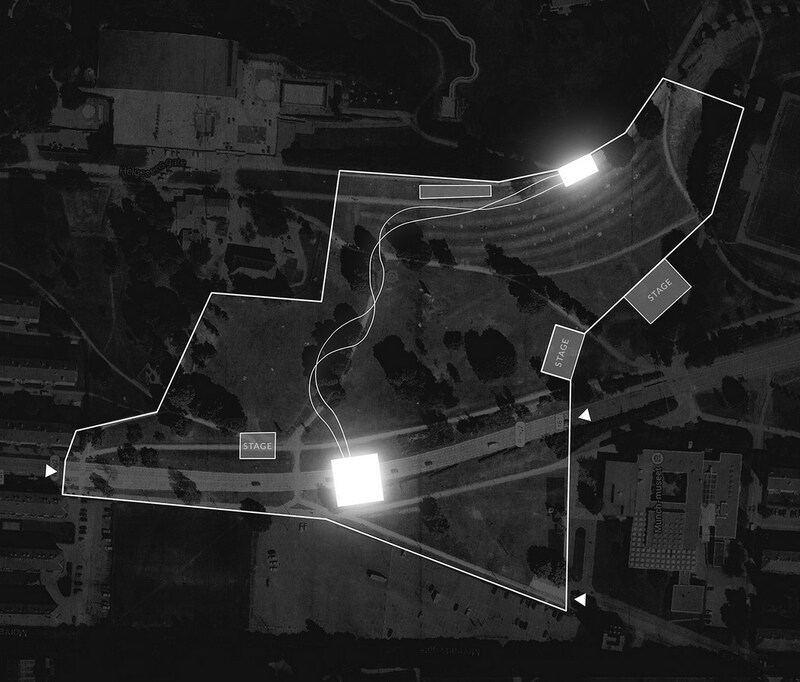 It operated as a catalyst for architectural speculations, finding questions and answers through research and reinvention of existing infrastructures. After graduation Artur joined KAMJZ Architects and later moved to London to join Heatherwick Studio while Geoff went off to Copenhagen to work for JAJA Architects and later for Bjarke Ingels Group.